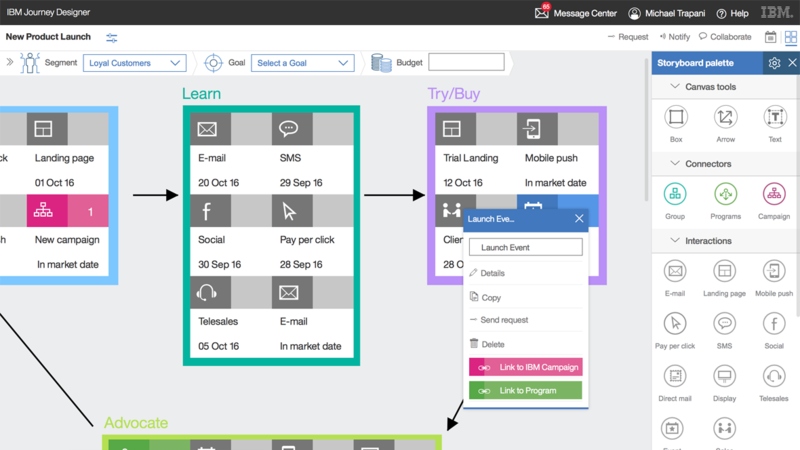 IBM® Journey Designer is software that allows you to begin creating customer journeys in minutes. 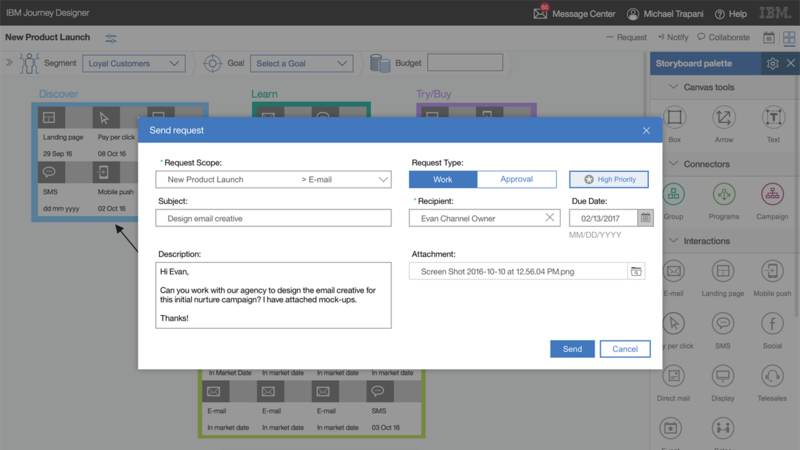 Marketing, sales and customer service can collaboratively visualize cross-channel journeys, set common marketing goals and design tailored customer experiences for dozens of priority segments in a user-friendly, drag-and-drop interface. You can have conversations, send files and notify team members of important activities while building your customer journeys. Intentionally design customer experiences with members of your team, your organization and agency partners in a visual storyboard. Define the details of your cross-channel interactions within the journey map, creating a virtual creative brief for your teams to execute. Collaborate in near real-time to ask questions, send notifications and work together as a team in the storyboard. Quickly view and understand what the customer experience will look like over time.